Students in high school and college tend to live in the moment. They are seldom concerned that the moment may have criminal consequences. Posting a picture or a video to Facebook, Twitter or Instagram is an everyday occurrence for most students. Why not share a picture of your best friend drinking a beer, taking a bong hit or inappropriately touching another student? It’s funny, right? Unfortunately, these posts do not go away and can be used against you. Don’t let living in the moment and a criminal charge ruin your future. When parents have a child under the age of 21 who is charged with a crime, I believe the parents have an obligation to assist their child with obtaining dependable advice and counsel with dedicated representation. An underage arrest is not a valuable lesson or a rite of passage before becoming an adult. It is a beginning of what could be a nightmare for years to come. In our ever-changing economy, a poor decision early in life can have serious unintended consequences for a lifetime. I have two children in college. I treat all of my underage clients like I would want my children to be treated: with respect and with honest, informed advice so that educated decisions can be made regarding their future. Alabama law provides that the age of majority is 19. However, it is against the law in Alabama for any person under the age of 21 to “purchase, consume, possess or transport” any alcoholic beverage. It is also against the law for a person to use a false, forged or otherwise non-genuine driver’s license to obtain or attempt to obtain alcoholic beverages in Alabama. Surprisingly, Alabama has two minor in possession statutes. The severity of the penalty varies substantially depending upon the statute under which the youth is charged. The penalties under Ala. Code §28-1-5 are a fine of $25 to $100 and a possible jail sentence not to exceed 30 days. More importantly, there is no suspension of the youth’s driver’s license. Ala. Code §28-3A-25 is a comprehensive statute that lists many types of unlawful activity regarding alcoholic beverages. Ala. Code §28-3A-25 makes both MIP and the use of a fake ID in connection with alcohol misdemeanor offenses. Possible fines and custodial time under §28-3A-25 are discretionary with the trial court and can range from a fine of $50 to not more than $500 and a jail sentence of up to three months. An additional penalty for a conviction for one of these offenses under §28-3A-25 is a mandatory three- to six-month suspension of the youth’s driver’s license. This mandatory suspension for a conviction is true even if the conviction occurs in juvenile court or a conviction is avoided by seeking youthful offender status. If you are under the age of 21, the starting point for discussing driving under the influence (DUI) is not .08, it is .02: The legal blood alcohol content (BAC) limit is .02 for people under the age of 21. Translation: If you are under 21, you are likely legally intoxicated after ONE 12-ounce beer. This harsher standard comes with some leniency in that a first-time offender testing between .02 and .08 is not subject to the adult DUI penalties. Punishment for these offenders is limited to a 30-day driver’s license suspension. However, test .09 or higher, or have a second under-age 21 offense, then you will be punished as an adult. The phrase youthful offender (or YO) is probably one of the most publicly misunderstood phrases in criminal law. A youthful offender is not a colloquialism for a bad child; it is a special status in Alabama criminal courts that allows those who were under the age of 21 at the time of the alleged offense to apply to the court for youthful offender status. If youthful offender status is granted by the court, then the defendant will receive adjudication as a youthful offender. From a parent’s perspective, the appeal of a YO adjudication is not only that the child avoids a criminal conviction, but also that the child’s record will be sealed from general public disclosure and inspection. Any time a youth has been charged with a crime, a parental concern is, “How will that charge affect my child’s future education and employment?” A YO adjudication will permanently seal the disposition of the case from most prying eyes, including colleges and most employers. An example of an entity that can likely go behind a sealed record is the U.S. military. Whether to pursue youthful offender adjudication requires careful analysis of the facts and the enabling statutes. Each case is different. I will review your case with you and your parents to determine if pursuing youthful offender status is right for you. The best advice I can give anyone under the age of 21 charged with underage drinking, vandalism or shoplifting, or to his or her parents, is to quickly retain an honest, aggressive and experienced lawyer. 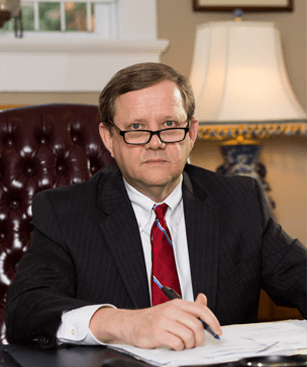 Call me to learn more about the benefit of trusting your child’s defense and future to an attorney experienced in helping young people charged with crimes in Jefferson and Shelby counties. Contact the Riley Law Firm in Birmingham, Alabama, online or by calling 205-212-5577.